Given the renaissance of musical movies and adaptations which seemed to kick into gear with Moulin Rouge and Chicago in the early 00’s, it is a little surprising that it has taken so long for the longest running and most celebrated musical theatre production of all to get it’s big screen adaptation. In many ways the show seems a natural fit for the big screen - its ensemble narrative handling both the grandiose and the tender and passing as it does through time and geography at a relatively brisk pace. Yet for all of the cinematic flavourings of the stage show, it also presents a number of curiosities which make this screen adaptation a less atypical affair. 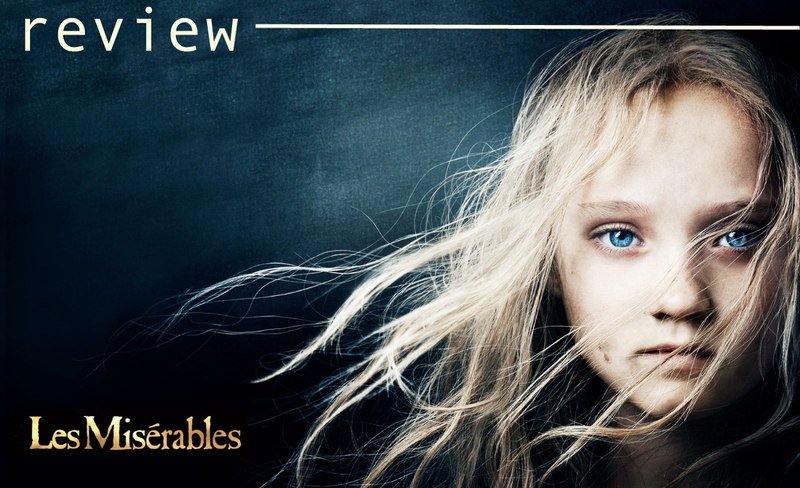 Les Miserables is for all intents and purposes entirely musical, with the majority of its dialogue sung rather than spoken, and there being very little in the way of stopping for set pieces or choreography - from the bombastic opening shipyard sequence through to its tender finale, this is a story told almost exclusively through song. The benefit of this is apparent from the offset, deftly avoiding any of the stop-and-start nature that plagues so many musical adaptations. These are not show numbers attempting to further the story - they are the story itself, the essence of the film and tale being told. The unfortunate downside of this perma-musical approach is that occasionally the more indulgent or frivolous moments from the stage show which could easily have been cut threaten to venture into self-parody or redundancy on screen. Thankfully though, with such a heavy onus on telling the story and demonstrating character through song, director Tom Hooper took the inspired approach to record all singing live and, though there was no doubt some inevitable post-production mixing and tweaking after the fact, the result is that the liberation and freedom the actors were given lends the film a purity and honesty generally unsurpassed in the genre, with the superlative ensemble able to sell each infliction and beat of Schonberg’s brilliant score with complete conviction throughout. 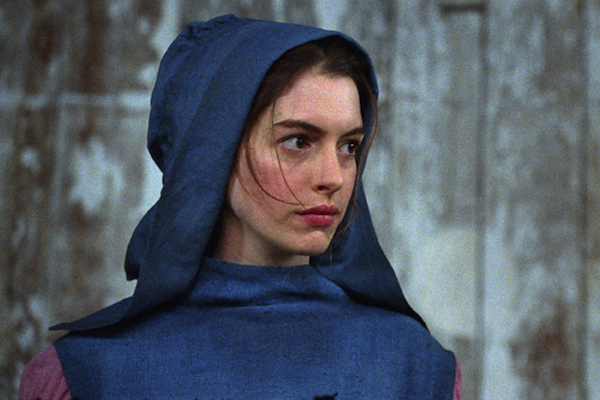 Moments which could fall prey to feeling staged or overly produced are here faultlessly convincing or stripped back to devastating effect, most notably in Anne Hathaway’s single-shot tour-de-force ‘I dreamed a dream’; a beautifully raw, focused and impeccably executed sequence that is in many ways the epitome of this masterful approach to the source material. Just hand Hathaway the Oscar now. Hugh Jackman plays lead Jean Valjean, and despite some sidelining midway somewhat, he remains the films heart and core throughout, with Jackman acquiting himself in the role brilliantly. He brings a sensitivity and tenderness to Valjean which is perfectly in fitting with the more intimate and intricate approach to the film as a whole. 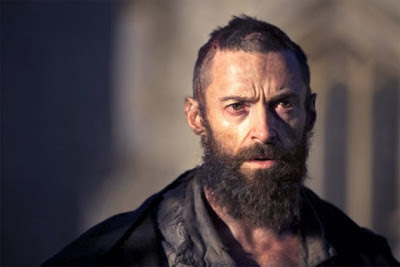 The film follows Valjean, an ex-convict who escapes his unjust parole and continually attempts to better himself, his life, and the adopted daughter he takes under his wing, constantly evading the pursuit of ruthless lawman Javert (Russell Crowe) and eventually becoming embroiled in the student revolutionaries of 19th century Paris. Whilst Jackman does a terrific job of anchoring the film, some of the original productions narrative shortcomings are laid bare on the broader canvass of film. The cat-and-mouse nature of Javert’s pursuit of Valjean eventually comes to feel somewhat repetitive and forced amongst the larger picture developing, and here the repeated coincidences and conveniences of the plot which are readily accepted in the confines of the stage seem more glaring and less forgivable on screen. 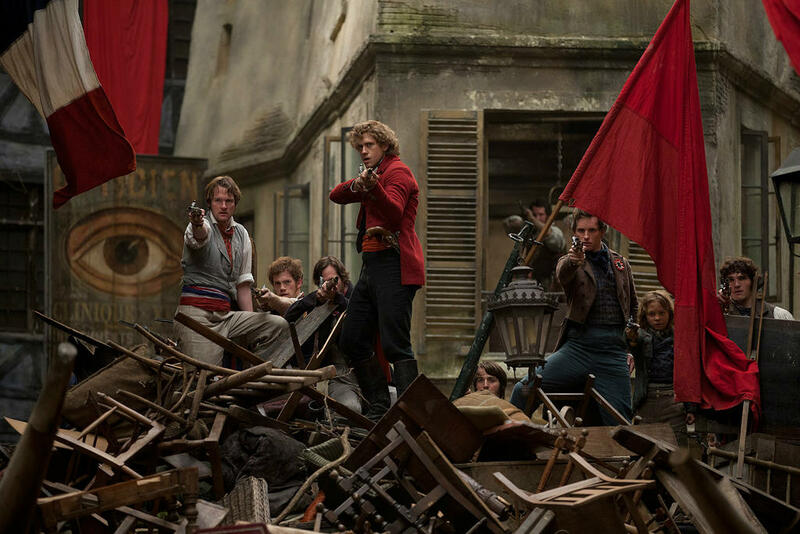 Story and character elements that the screenplay presented an opportunity to address or refine remain problematic - from the lack of any significant linking or interaction between the adult Eponine (Samantha Barks) and her parents (more on whom later) through to the underdeveloped and rudimentary romance that develops between Valjean’s adopted daughter Cosette (Amanda Seyfried) and student revolutionary figurehead Marius (Eddie Redmayne). With the relationship between the two characters instantly becoming of pivotal importance to the film, it is lamentable that there was little done to fill out a very perfunctory ‘love at first sight’ cliche subplot. Fortunately, whilst the character of Cosette and Seyfried’s performance are amongst the more forgettable aspects of the film, Redmayne makes a terrific Marius and helps ground him as a figure of importance and audience empathy relatively quickly. One of his penultimate scenes, lamenting the loss of fellow student soldiers, is as effective and moving a study of post-war guilt and shock as any put to screen, and Redmayne puts in a beautiful, devastating performance. One of the more unfortunate casualties in this adaptation are the Thenardiers, played by Helena Bonham Carter, seemingly on Mrs Lovett Sweeney Todd autopilot, and Sacha Baron Cohen, who puts in a spirited performance that is ultimately ill-used. The films attempts at using the couple to no doubt inject some fun and whimsy into proceedings comes across as awkward and forced, with their signature ‘Master of the House’ number an overly-choreographed shambles of messy cutting that jars with the film around it. It’s true of the characters’ presence in the film as a whole - occasionally worth a giggle or two, but generally feeling inorganic and tacked on to a far more effective and less conventional piece of musical cinema. In the stage show their final scene plays out as a guilty celebration of their irrepressible tenacity, charm and gall; by the time the same scene rolls around in the movie it is difficult to not hope it’ll be the last we see of them so the story can continue uninterrupted. Similar moments of jarring experimentation or ambition also occasionally draw attention to themselves, with Hooper having an apparent fascination with the occasional unmotivated crane or CG-enhanced vista shot which again sullies an inconsistent approach to the film. Bar the genuinely impressive opening, whenever the film attempts to become too inventive or ambitious with its camerawork and cinematography it usually begins register as false. This seems nowhere more apparent than in the soliloquy sequences of Russell Crowe’s Javert. The sentiment and writing are apparent and effective - a man so conditioned and set in his ways he cannot comprehend anything other than his sworn duty to uphold the law - but Crowe’s weak vocals undermine his performance throughout, and a bizarre emphasis on loose, swooping camerawork only further detracts from his solo moments. Take scenes such as this, or the aforementioned Thenardier moments, and then contrast them with the raw, focused, brilliant simplicity of ‘I Dreamed a Dream’ or ‘Empty Chairs at Empty Tables’ and you’d be forgiven for thinking you were watching two completely different films. Considering this, and that much has also been said as to whether Tom Hoopers personal visual and directorial approach was an appropriate match for this adaptation and the tale being told, Les Miserables seems to demonstrate more than anything a director not yet fully in control or certain of his own artistic style and approach. His trademark edge-hugging framing only appears sporadically throughout, at at times some of his invention and excess as mentioned threatens to slip into caricature or self-parody. 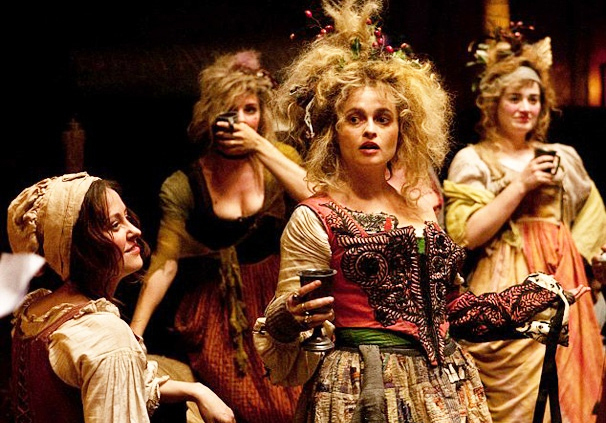 ‘Lovely ladies’, for instance, a scene involving Hathaway’s Fantine as she descends into a world of prostitution and vice, was no doubt envisaged as some darkly comic or baroque sequence of disturbing mischief, but instead views as something rejected from a Tim Burton imagining of the sequence, with Fantine sticking out in a way that feels disingenuous rather than deliberate. That’s not to say Les Miserables only works when it is being subdued - for there is plenty of scale and majesty to be found here, with moments such as ‘One Day More’ and ‘Look Down’ as rousing and vigorous as ever and lent extra gravitas and impact in being fully realised on screen. And for all of the inconsistency and underdevelopment, the achievements and positives of this ambitious and unique movie musical far outweigh its critiques. The timeless, effecting story is brought to screen with beautiful artistry and attention to detail, and despite some missteps and awkward moments, this is a brave and original approach to musical filmmaking that pays off with heart, emotion and impact in bountiful amount. The stage show is the longest running musical production in history, having been seen by over 60 million people, and whilst this movie adaptation of Les Miserables does not quite hit such equal heights of creative greatness, it is certainly a worthy adaptation that deserves the same lofty levels of success and adoration. Press access for this screening of Les Miserables was provided by Universal directly. (A)musings Media gratefully acknowledges their generous invitation. Just got back from seeing this and I agree with a lot of this review but I think its actually a 5* experience. Do think you are right about helena bonam carter being miscast as madam thernardier. Sasha baron cohen did a great job imo though.